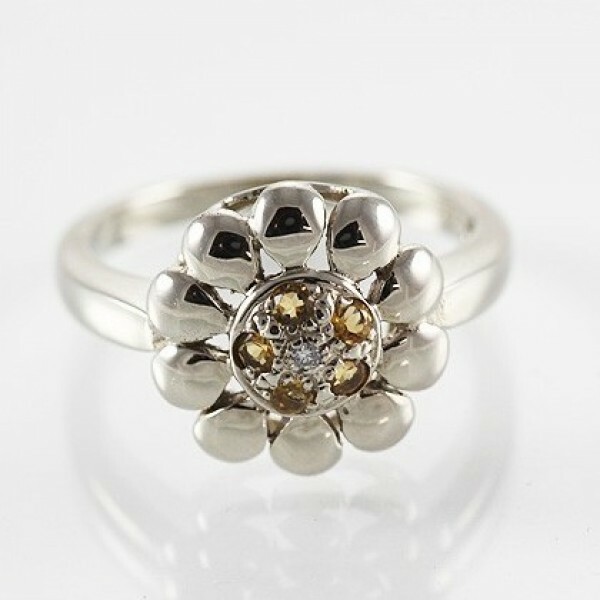 Flower shaped 9ct white gold ring with natural citrine and diamonds. This beautiful cocktail 9ct gold ring features, natural citrine and diamonds. Making it a wonderful all occasion ring for all ages.